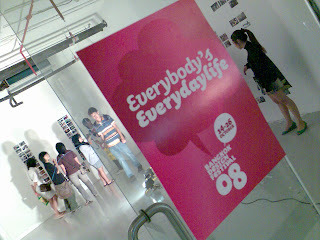 ‘Everybody’s Everyday Life’ is the slogan for Bangkok Design Festival 2008. From the slogan, we can see that Bangkok really want to bring designs into people’s everyday life. There are many events going on throughout Bangkok in this annual festival. The main area for the events are in the Siam Area, but spread in a few buildings like the newly opened Bangkok Art and Culture Centre, Siam Paragon, Siam Discover, and Siam Center. There is also a Bangkok International Gift Fair (BIG) and Bangkok International Houseware Fair (BIH) at IMPACT, MuangTong Thani. The events ran for 2 weeks. It has interesting exhibition for those who are interested in Arts, Design and Architecture. However, I think it would be nice to include Fashion Design in this festival too. 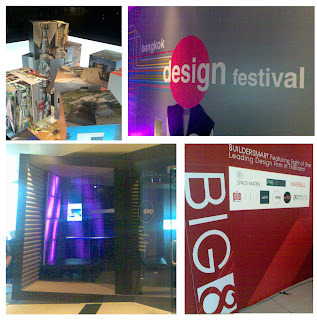 Bangkok Design Festival is a great event to promote a city’s status to be the so-called ‘Design Capital’. Other than design talents, it also needs some marketing and promotion by the local government. Besides, inviting foreign designers to the event also helps to elevate a city’s status to be a ‘design capital.’ And Bangkok is doing just that to promote and encourage it’s local talent and bring design into people’s daily life. As for the events, there are too many to be listed in my posting. Let’s just take a look at some pictures that I had taken. 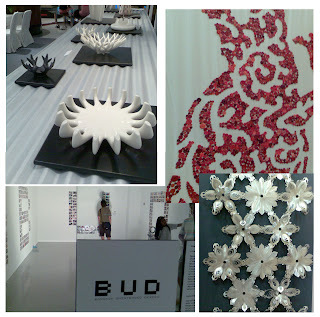 Hope to see you here in Bangkok Design Festival 2009! Are you gonna take part of it? Let me know a month or two earlier so i can plan for it. I would definitely love to attend it. It should be interesting.